My husband and I are on our honeymoon in Europe. We have been hanging out in London for a couple days and, over the next 2 weeks, we’ll be hitting up Paris and Istanbul and then headed back to London for a few days before flying home. Traveling abroad while following a restricted diet is always a challenge, especially in countries where bread and gluten are prominent, but with a few handy tips and a little bit of preparation, it is totally possible to have a successful trip full of great food. This week, I’m sharing some of my strategies for having a smooth travel experience while following an elimination diet. Before I left for this trip, I did a couple simple searches for gluten-free and low carb/paleo dining options in the three cities we will be visiting. This allowed me to get a general sense of how easy it will be to find food that I will be able to eat (I’ve been to each of these cities before, but that was in the days before I had food restrictions) and to start to plan my itinerary. Simple searches for “Gluten free [city]” and “Paleo [city]” or “Paleo restaurants [city]” yielded lots of results, including restaurant recommendations and firsthand accounts of successful gluten-free and paleo-friendly itineraries in these cities. 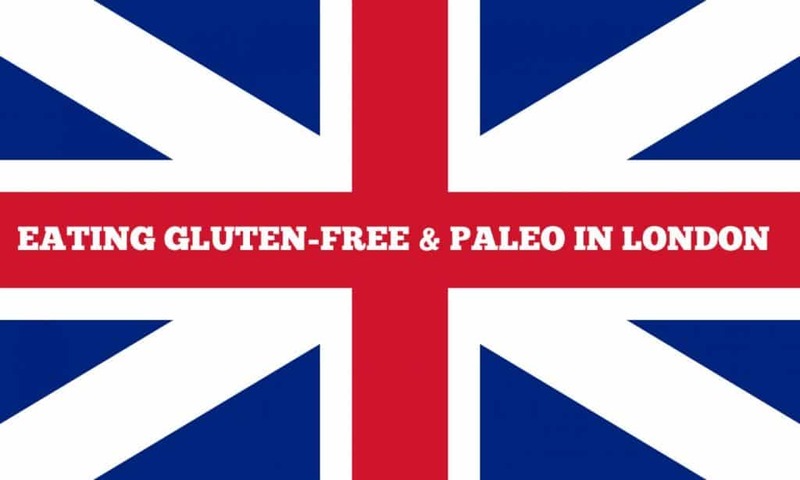 London seems to be an extremely gluten free and paleo-friendly city. I was actually surprised by how many restaurants cater to the gluten- and grain-free population, including at least one entirely paleo-friendly restaurant. If you’d like even more suggestions, you can read about where I actually ended up eating in London here. In the next post, I’ll be tackling Bread Mecca, aka strategies for avoiding gluten and grains in Paris. Don’t forget: you can also follow me on Instagram for more trip updates! *Thank you so much to Kathryn (LondonBakes.com) for the Nopi, Truscott Arms, Dishoom and so many more recommendations and pieces of indispensable advice! My husband & I are both gluten-intolerant. We visited Carluccio’s when we were in London & it was amazing. They had gf pasta and bread and I even had a gf chocolate fondant for dessert. Delicious! Oh that sounds wonderful! I hope to be able to go back to London sometime so I will have to add Carluccio’s to my to-eat list! Aw, yay! I’m going to London in April & already thinking about food. I was doing a search and found this post! Thanks for all the tips Nora! I’m so jealous that you get to go to this wonderful city, Katie!! You will find plenty to eat. If you want some more trips and even a printable resource, check out this page: https://acleanbake.com/gluten-free-paleo-food-london/ (scroll all the way down for the printable). The only note is that, unfortunately, the wonderful paleo restaurant that we loved (Pure Taste) has since closed down. But there are so many other options! Let me know if you need any more info!